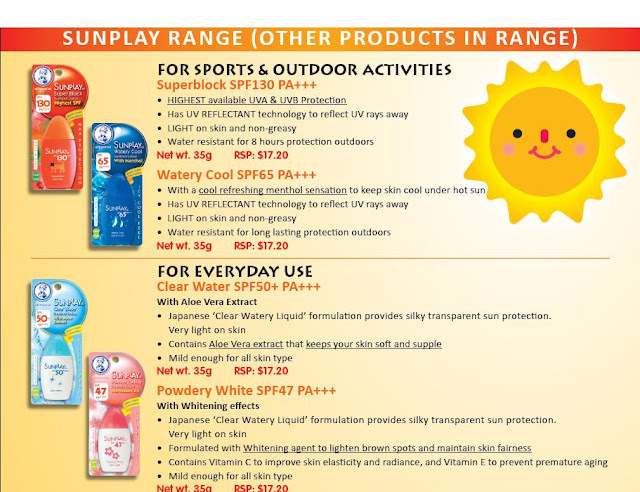 [Advertorial] Let's play in the sun with SunPlay!! And also, they do come out with another smaller version to allow us girls to put in our make-up pouches too! And what's more is that it got higher UV protection! The mini pack in 35grams. 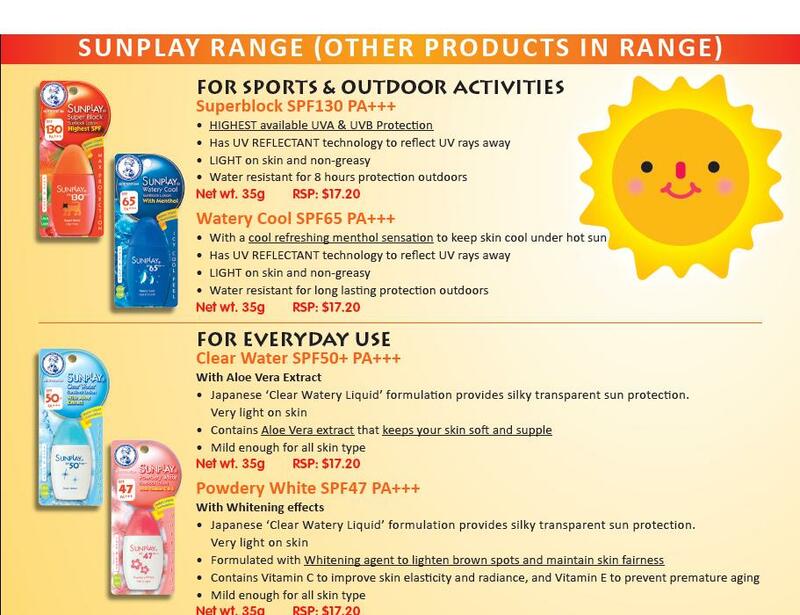 Its SPF130PA+++! Well, lets take a look at other products that they have too!